Patent professionals encounter many different personality types working with their colleagues and inventors. On one end, there are those who do great work but lack confidence in their abilities, and on the other there are those who overestimate their abilities and lack the skills to do an efficient job. Those who are competent, but lack confidence, often believe others are smarter and more capable then they are. This can be particularly problematic when that individual is an engineer or scientist hired by a company to invent, or even an independent inventor who toils for years thinking that what they are doing just isn’t good enough. Building confidence in those who have creative abilities seems like a difficult task, but it can be even more challenging to work with someone who believes they are great at what they do when they clearly lack abilities, or what they do create is a modest improvement, or even trivial advance that the law is unlikely to recognize as a patentable invention. These individuals typically are completely unaware that they lack the necessary skills, they overestimate their contributions, and often become extremely defensive or even angry when others do not seem to appreciate what they consider to be their own brilliance. This phenomenon is not uncommon and has even been given a name by two psychologists who studied how individuals at different ends of the spectrum see themselves and the value of their contributions—the Dunning-Kruger Effect. The Dunning–Kruger Effect is based on the principle that, in order to know you are bad at something you must have at least a moderate understanding of it. Thus, when an individual lacks ability in a certain area, they cannot recognize that they are lacking. That is, in order to recognize their deficiencies, they must have at least a moderate understanding of the subject. For example, many universities, colleges and even professional schools, such as law schools, will routinely ask students for feedback on professors. While inquiring about how cordial and professional an instructor is when interacting with students seems entirely appropriate, as does inquiring about availability to answer questions outside the classroom, does it really make any sense to ask someone who is learning the material for the first time whether the instructor had a firm grasp on the subject matter and solid knowledge base? Of course not. Asking a second-year law student taking their first patent law class to offer an opinion on the knowledge base of a patent professional with 20+ years of experience seems foolish on the face of it. This is easy to understand because obviously the eager law students think they have learned everything about the subject matter, but we all know patent law is far more complex than any one three-credit law school course for beginners. Unfortunately, the Dunning-Kruger Effect is not always this obvious to spot. In particular, with respect to inventors, it seems they will all too frequently either overestimate their abilities or underestimate their abilities. For example, one inventor may have invented something revolutionary and not believe or recognize that it is truly great and worthy of patent protection. Another inventor may come in with something that has clearly been done before, but they won’t recognize or acknowledge that is not inventive. There are several things that can be done to reduce the impact of both lack of confidence and the Dunning-Kruger Effect in engineers and inventors in the workplace, and especially during the patent process. Initially, awareness that the Dunning-Kruger Effect exists can help both those who lack skills as well as those who believe everyone else is superior. This is not typically something discussed or taught, but the benefits of such awareness and education is a great way for different personality types to begin to understand one other, which would facilitate collaboration in the workplace. While forward thinking corporations will engage in routine patent training to educate their engineers and scientists about what can be patented, and even more forward thinking corporations will have patent attorneys periodically do a top-to-bottom audit after talking to engineers and scientists to identify patentable inventions that are being missed, training on the Dunning-Kruger Effect could be a useful part of any overall corporate education curriculum. Understanding the biases brought to any problem is the first step in preventing those biases from running unchecked and potentially doing unseen damage. Further, as already mentioned, the role of educating inventors on the patent process can go a long way in assisting both an inventor who underestimates and one who overestimates his or her abilities. For example, companies may benefit from providing training and education on what may or may not be patentable subject matter. In addition to training seminars, and innovation audits, another way to break through inventor biases is to involve inventors in prior art searching so that they are aware of the state of the art. Many inventors do keep themselves aware of the state of the art, and that can sometimes backfire too when dealing with the inventor who thinks the advance they have come up with isn’t worthy of patent protection. So, involvement in prior art needs to be focused on understanding which personality type you are dealing with. For inventors who tend to think what they have is more monumental than it really is, that is frequently because they will believe – incorrectly so – that no one else could have come up with their idea/invention unless they copied them. This personality type will have a high opinion of their own work and value. It can be quite important to help them understand how to do a simple novelty search so they can easily see what kinds of patents already exist in the area in which they are working. Another strategy is to familiarize inventors with the disclosure process, so they are prepared and capable of making a proper invention disclosure. Of course, this personality type may only do a cursory search and shallow disclosure and refuse to buy into any processes set up that are aimed to assist them and make them better inventors. Remaining undeterred, perhaps consider collaboration between inventors as a good way to expose different personality types to one another and help them to maximize their strengths and minimize their weaknesses. For an inventor who overestimates his or her skills paired with an inventor who is highly skilled but lacks confidence can allow the former to reap the benefits of the skills of the latter and the latter to observe the confidence of the former. 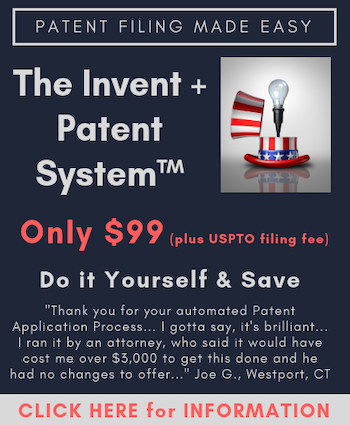 For inventors who tend to think that nothing they are doing could be significant enough to be worthy of patent protection, it is probably worthwhile to have someone from the legal department or an outside counsel sit down to review with them examples of patentable inventions. This personality type can frequently become an important contributor, or even prolific inventor, once they understand the magnitude of what needs to be present in order to obtain a patent. All too often, they believe that, to be patentable, an invention must be pioneering. Certainly, paradigm shifting innovations are patentable, but, frequently, incremental advances are as well. Working with someone who is clearly affected by the Dunning-Kruger Effect may be challenging. However, awareness of the phenomena, education on the patent process, and involvement at appropriate intervals by patent professionals are clear steps to helping them overcome the effects. Dunning-Kruger Effect. I think that this has been studied before and has common names. It really bothers me when professors come along and take something that has been studied before and put their name on it as if they discovered it. Really offensive. Another one is singularity where here the book author gave a name to something as if he was claiming the discovery of it or speculation that it would occur when, in fact, anyone that knows AI knows that this was discussed 20 years before by McCartney at MIT. Yet these people appropriate the subject matter and name it after themselves or give some other name to it and then claim it as theirs. Unethical. Interesting article. I have always wondered about novice examiners, having to examine applications of inventors who are clearly (from their specification) more versed in the subject matter than they are. In some (or even many) cases, the inventors are leading experts in their field. It seems to me that a young examiner must have second thoughts about rejecting a claim on the merits. Especially, because in some cases they are unable to grasp the physics or math of the invention. (well, luckily there is always a 101). I wonder what their supervisors tell them. Like: just make something up, but issue a first rejection. Unfortunately, that reluctance and awareness of lack of technical/scientific skills seems to disappear rapidly. “La loi, c’est moi” or “Dunning-Kruger” takes over rapidly. I find it interesting that the article focuses on Dunning-Kruger in inventors. Personally, I find Dunning-Kruger (in the sense of over-confidence) a prerogative of inventors (perhaps even a necessary condition) to be able to take on a system that is geared to demolish them. Ternary, your statement rings true: “I have always wondered about novice examiners, having to examine applications of inventors who are clearly (from their specification) more versed in the subject matter than they are. In some (or even many) cases, the inventors are leading experts in their field.” That has certainly been my experience with several novice and not so novice examiners. I wonder if there is a name for them. 2) in commentary on patent law blogs, where OFTEN those who deign themselves experts on technical matters will venture outside any semblance of whatever “expertise” they may have in regard to some technical matter***, and think themselves masters of how law should interact with things technical. *** I put “expertise” in quotes because FAR too often, these types of commentators do not even fully grasp the technical nature of what they profess to be experts in. These two very different examples will tend to interact, especially when the criticality of the first example is picked up in discussions of how to make the patent system (and only sometimes, discussion as to how to make the examination portion of the patent system) more in tune with WHY we have a patent system in the first place (to protect and foster innovation, even and especially innovation of the fifth Kondrateiv wave). It is interesting that a lot new research shows that bullies are actually people that over rate themselves compared to others. These feelings of superiority led to their mistreatment of others. I’ve noticed this anecdotally. I’ve also noticed that bullies often have a very poor ability to evaluation of what another person is feeling. Anyway, it is an insult to psychology to call this the Dunning-Kruger Effect. These things have been studied for over 100 years. Dunning and Kruger should be ashamed of themselves for trying to appropriate other people’s work. “The price of expertise is creativity — but there is a sweet spot. Breakthroughs — world changing, life changing, massive innovations — require that we know enough to know what is possible, but we not internalize what is thought by ‘experts’ to be impossible.